Many associations and trade organizations use robocalls (automated calls without live agents) to blast messages to their potential attendees and members in advance of a trade show or conference. All it takes is a recorded message and a list of telephone numbers and you can literally blanket your target market with hundreds, thousands, or even hundreds of thousands of robocalls. And your message is delivered the same way every single time. If you’ve ever run an outbound telemarketing campaign with live agents, you know that consistency of staying on script (without sounding scripted) can be very difficult. And, in addition to being fast and consistent, other than emails, there is no cheaper way to get your message to your target market. However, it is little known that robocalls are a risky tool to use to communicate en masse with your target market. Here is a bit of good news: If your association or trade organization has tax-exempt non-profit status, then you may be ‘okay’ to continue to use robocalls. However, if you don’t meet the requirements for the tax-exempt non-profit status, please beware. If you are partnering with a for-profit organization to sponsor a conference or event, be very careful because you may not be able to claim the exemption required when it comes to using robocalls for marketing and communication messages with potential attendees. What is a robocall? 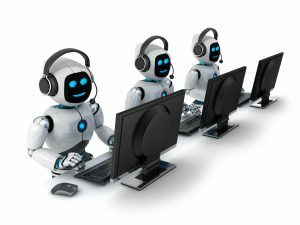 By definition, a robocall is an automated call placed using automated technology where a recording is played to a live person or to a voicemail. Robocalls are very inexpensive and easy to deploy, making them popular not just with trade associations and conference producers, but also with companies and individuals that want to defraud and harm (i.e., have you ever received the IRS scam call?). Unfortunately, the Federal Trade Commission (FTC), the Federal Communications Communication (FCC) and numerous states have taken a stand against robocalls and little is done to differentiate between “good” and “bad” robocalls. And believe me, some robocalls are good. For example, I love it when my pharmacy calls me using a robocall when my prescription is ready to be picked up. The Telephone Consumer Protection Act (TCPA) of 1991, updated in 2012 by a report and order by the FCC is predominantly focused on protecting consumers from unwanted telemarketing and robocalls (automated calls). However, the FCC has made it clear in its report and order that robocalls are illegal if the caller does not have consent from the called party for the automated call. And unlike the Do Not Call provision in the TCPA, there is no separation of calls made to businesses vs consumers if an automated message (robocall) is the method of message delivery. Depending on the reason for the robocall (sales vs informational), the required consent is different. For a robocall intended to induce a sale or to promote a future potential sale, then the calling party must have prior express written consent (PEWC) from the called party prior to placing the call. If a robocall is intended to be informational only, then the calling party must have prior express consent (PEC) from the called party prior to placing the call. The Federal Communications Commission (FCC) has provided clear specific guidelines on what is required for PEWC and PEC. Prior Express Consent (PEC) is defined as an individual providing a phone number in the course of a relationship with a company. The company must demonstrate that the individual provided their phone number. The number can’t be appended through a list company or a third-party source. The PEC has a one-to-one relationship, meaning that the PEC is not valid if a third party sells you a list to use for marketing purposes. The FCC and FTC both have gone after “good” organizations that unknowingly broke the law by using robocalls as part of their marketing and communications strategy. In fact, the issue of robocalls is so hot that the FCC and the FTC hosted a joint policy forum on March 23, 2018 titled “FTC-FCC Joint Policy Forum on Fighting the Scourge of Illegal Robocalls”. During the joint forum, one FCC representative said, “I don’t care if the call is white, black or gray. People don’t like getting these robocalls and we need to prevent them.” She was referring to legal vs illegal when referring to white, black or gray. In addition, the TCPA has a private right of action available to consumers (or in this case, individuals at businesses) that have received unlawful robocalls. The call recipient can sue for up to $1,500 per call and greedy class action attorneys are more than helpful in putting together class action lawsuits against organizations that blast robocalls without the required PEC or PEWC. Google “Class Action Robocall Settlement” and you will be blown away by the quantity and the dollar amounts which have been involved. And even if you are not in the wrong, it costs upwards of $1 million dollars to successfully defend against a TCPA class action, plus huge amount of wasted time. The bottom line is that while robocalls are cheap, quick and consistent, there is substantial risk to your organization if you use robocalls as part of your marketing or communication strategy. Make sure you have solid PEWC if you’re promoting a convention or if what you are doing would be construed as “for a commercial purpose”. If you’re doing a 100% informational call, get a legal opinion that the message doesn’t cross the line to be commercial in any way and if part of the robocall is a “press 1” to speak with a representative, make sure that the representative doesn’t pitch or sell anything. Pressing 1 doesn’t mean that the person is opting in for a sales call. And if you’re 100% solid that the message is informational, just double check that the list source is from your inhouse database and people provided their phone number to you as a contact method. If you’re purchasing the phone number or appending the phone number from a list company or third-party source, you don’t have PEC for that phone number and this will be a problem for your organization. This entry was posted in Articles and tagged Associations, Compliance Consulting on April 3, 2018 by .